I’ve often confused time management and task management. There was a time where I didn’t even know there was a difference. For a quick read about the difference between the two, below is part of the article from the website Hackerspace. Time management is made up of constraints. Task Management is more about work, being agile and flexible, and tends to fill in the blanks around the time constraints we have. A lot of people mix their calendar (which is about time management) and their to do list (which is about task management) by adding their tasks in their calendar. 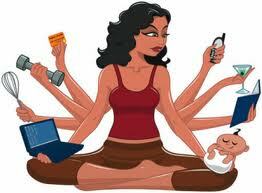 Besides the fact that it can get really messy, there is another question to ask: Do all my tasks must have a due date? Well, not necessarily. To read the rest of this article visit the original website and article here.